While we don't know exactly when the prequel will air, we can make some guesses based on available news thus far. 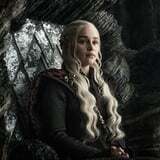 According to Casey Bloys, HBO's programming president, production on the pilot is set to begin in early Summer. He also previously stated that the prequel won't air until at least a year after the original ends. Since Game of Thrones ends this May, that means the earliest the show could start is in 2020 - sometime in the Summer or Fall if we take the "year after" comment literally. If the production is particularly extensive, a later 2021 start date could be possible as well.